Ioana PĂUN is a young director working and researching internationally, having graduated from Goldsmiths University London and UNATC Bucharest. Her work explores the ways humans behave in ferocious political, economic and health circumstances. Ioana is often working with teams of investigative journalists and contemporary thinkers, pushing various ethical buttons. Since 2012, Ioana has been working on a visibility platform for the “love industry”, together with artists, journalists and domestic workers from Mexico, Filipines and Romania, projects including Domestic Products or Natalia, Turn the light on i. Ioana was nominated for Cultural Inclusion Award as part of the Culture Fund Gala. Paun’s performances and ideas got support from contemporary performance art institutions such as Theatre Royal Stratford East, Kunstraum Lakeside, CEC ArtsLink, Teatro Luna Chicago, National Theatre Iasi, Ashtar Theatre Palestine, Teatrul Mic, Schauspielhaus Wien, Schaubühne Theatre, Museum for the arts of the 21st century MAXXI Roma, British Council, Onassio Centre in Athens, Museum of Contemporary Art Bucharest. 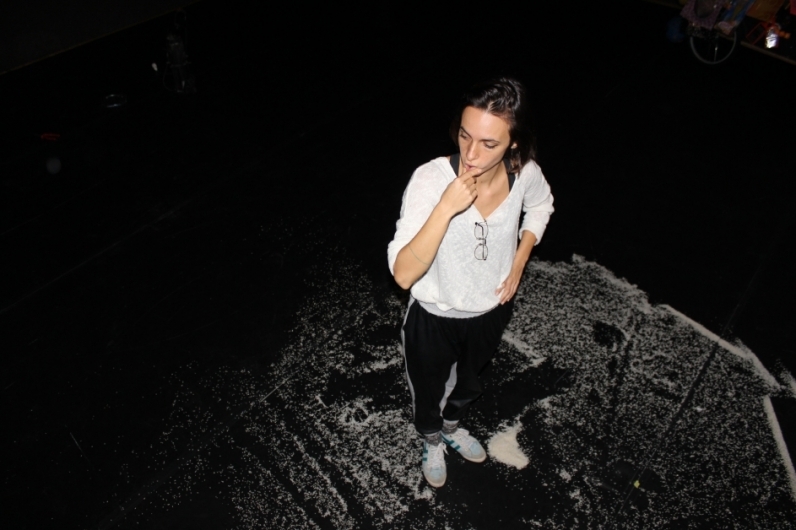 Ioana has recently started coordinating the Performace Programme at the National Museum of Contemporary Art in Bucharest.